Home > Archive by Category "Legal Fees"
The following paragraphs contain 10 tips for those running their own home office, pulled together from my own accumulated wisdom when I practiced law from my own home, as well as many consultations with my clients. Learn more about VAT and your business at VATGlobal. My own homeowner’s insurance didn’t come with any liability for my home office. As an attorney, I tried to be careful about how I arranged my business in order to limit any liability I had. Under state law, I’m a professional corporation. It didn’t seem like it made sense to me to open myself to potential losses and extra liability by neglecting insurance. Once I consulted my insurer, I chose to get a rider which included coverage for both equipment and liability protection if anyone happened to get injured in my home or on my property. A lot of professionals think that if they open a home office, then it has nothing at all to do with neighbors, much less local authorities. This simply isn’t true. Contingent upon what type of business you operate, your ability to even work from home, even including seeing customers or clients, might be restricted by your community’s local zoning laws. Even when home offices might be permitted, it’s possible that there could be restrictions on things like parking, signage, hours of operation, and even the number of outside employees. You’ll have to check with your local zoning board or local zoning code for confirmation. I realize that the home-office deduction might feel like it should be automatic if you’re working from your home. However, just like all other deductions, there are criteria to meet. The home-office deduction comes from Section 162 in the Internal Revenue Code, which permits it as a potential business expense. In order to qualify for being a deductible expense, as per official IRS guidelines, then the business expense has to be both necessary and ordinary. Necessary expenses are those deemed as appropriate and helpful for a person’s business or trade, whereas ordinary expenses are ones deemed as accepted and common in someone’s business or trade. In order for you to get the home-office deduction, you need to use a part of your home that’s specifically for business that is done regularly and exclusively for your business or trade. Also, that portion of your home has to be the principal place where you do business. It could also be a place wherein you deal or meet with clients as part of the normal routines in your business or trade. It can even be a distinct structure that’s used in conjunction with your business or trade. In short, for your home office to be deductible, it has to actually be your office, and not just some space where you sometimes work. If you make use of any part of your home for a working space, then it has to be only a working space. That’s crucial. It’s not mandatory that you have a door with a lock, which was a very popular misconception stemming from older rules, but the space has to be delineated clearly from your own personal space. You can’t just write off the living room due to reading briefs on the couch or typing things on your laptop. A home-office space has to be used exclusively as a business space. Typically, how much you might get to deduct will be contingent upon what percentage of your overall home is used for business. If you’re able to easily separate any expenses that are related just to your home office (for instance, a distinct structure like a garage), then you can probably deduct any actual expenses you can identify. On the other hand, if your home office expenses are hard to distinguish from your overall home expenses, then you can likely calculate a home office deduction through a method of prorating its use. Determine what amount of space that is attributed to your business and then compare it to the total. For instance, if you have a home office space of 100 square feet in a 1,000-square-foot home, then you’d claim 10 percent of any home-related expenses towards the home-office deduction. Home-related expenses would include things like homeowner’s insurance, mortgage interest, taxes, security systems, utilities, and other various maintenance expenses. You should also consider that if you’re renting a home, then this is a time where you might take advantage of rental payments as a potential deduction, as your rent would be considered a certain expense that can be prorated towards the home-office deduction. On the other hand, if you have rooms in your home that are generally each the same size, then you can calculate what percentage your business uses just by adding up the total number of rooms before dividing how many rooms the business uses. So, for instance, should you have ten rooms, with one room used for business, then you’d claim 10 percent of home-related expenses for home-office deduction purposes. Regardless of the choice you pick, make sure that you are precise. Avoid rounding numbers, since that can draw the attention of the IRS. Aside from rent, just when was the last time you actually paid a bill that happened to be exactly $500? Always use figures that are based in reality. If you’re like me, then you probably don’t have online service at home that’s just for your law company. You likely use the Internet for some fun and ‘off the clock’ emails. If you happen to mix personal use with business use, then you have to divide the whole cost of the two, just based on usage. You’re only able to deduct business expenses for any piece that can be attributed to the business. As such, if you’re using 60 percent of your Internet service for your business, then you’re able to deduct 60 percent of its cost. That rule will also apply to using other utilities and expenses, with the exception of your home telephone line. The IRS considers that routinely personal, so never deductible, even as a prorated item. However, you can deduct any costs involved with a cell phone or dedicated second line. 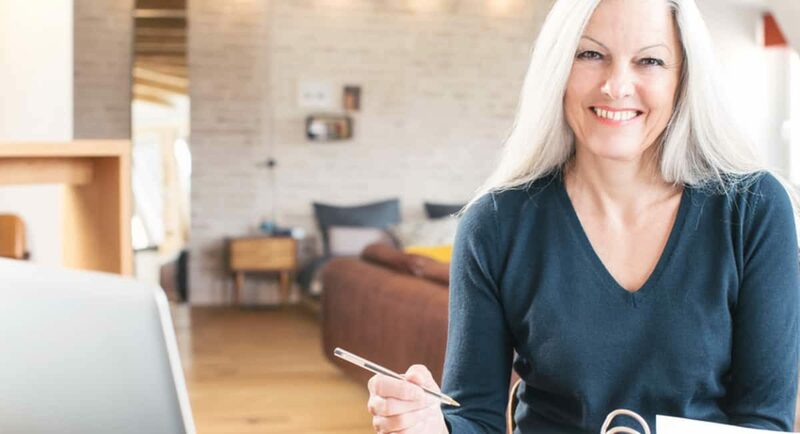 If the home-office deduction is something that you claim, then you might not be able to later claim a full capital gains exemption for selling your home. This one exemption is one you shouldn’t miss if you can avoid it, because taxpayers can sometimes exclude as much as a quarter million dollars in gain from selling a principal home. That can go up to a half a million dollars for couples that are married, provided they’ve owned and lived in the home for at least 2 up to 5 years before selling the house. It is possible for the home-office deduction to not make up for this exemption loss, so consult your tax professional in order to see where the numbers work out best for you. The home-office deduction is claimed using federal form 8829, otherwise known as “Expenses for Business Use of Your Home”, and generally filed with a Schedule C, otherwise known as “Profit or Loss from Your Business”, on your individual 1040. Even though it’s not necessary to offer documentation alongside your form, you should retain any records which support your deductions for a minimum of three years, even though many tax professionals are starting to suggest six years given aggressive IRS stances regarding statute of limitations claims. Records could include bank statements, receipts, copies of bills, and credit card documents. You might even want to maintain a journal of long-distance calls and other extraordinary expenses. Make sure you keep such journals and annotated records up to date, because trying to reconstruct these records afterwards is nearly impossible. To help yourself out, you might want to scan records in order to keep the clutter to a minimum; just be sure your scanned records are legible and easily accessible. The IRS has estimated that up to 70 percent of those taxpayers reporting net losses via a Schedule C decided to artificially inflate the expenses in order to create the losses. One area that you might find tempting for bumping numbers would be the home-office deduction, since, who would really know after all? You should know that, statistically speaking, any taxpayers filing Schedule C forms are twice to four times as likely to get audited. Those odds aren’t your friend. Inflating deductions won’t just put you at risk of getting audited, but make you susceptible to penalties too. You can always report correctly without guesswork if you keep contemporaneous and meticulous records. Your law license might not be the only one you have to have. Some municipalities require permission before you can open up shop. For instance, in Philadelphia, a new business has to register itself with the city before it can operate. Some locations are places where claiming a home-office deduction might subject you to having additional local taxes, since for taxes purposes, any office is still an office, even if located inside the place you call home. Consult your tax professional when you’re not sure about this or anything else. If you choose to work at home, be sure you’re reasonable in claiming expenses. Only do the ones that make sense and that you can prove. Getting aggressive on deductions is okay, so long as you’re smart about it. There’s much to consider if you choose to work at home or not, far beyond the matters of keeping the kids quiet for phone calls of just finding the space. In truth, working from home doesn’t always prove better or cheaper. The injuries that are suffered by a person are indeed very painful and might require extensive treatment for salvaging the problem. However, when a person gets wounded by the negligence of another person directly or indirectly, then the situation is not only painful but also unfair. In such cases, the person who has sustained injuries in the accident has the right to file a lawsuit. Negligence of the management – In such instances, accidents caused by the lack of safety gear which is to be provided by the construction company to the workers can be termed as personal injury resulting from the negligence of the management. All construction company owners ought to follow the safety protocols. If safety rules are not implemented then accidents caused will be the fault of the company owner. The negligence is not just about safety gears or protocols with respect to the workers. In a construction site, visitors can also come, and if they get injured due to the lack of proper signs, then that also falls under the category of personal injury. In some cases, trespassers also can claim personal injury caused in a construction site, but in that case, the claim will be evaluated by questioning the intent of the trespasser. Therefore, if there is any lack of attention of the company owners with regard to safety in a construction place and if that inattentiveness to detail has harmed a person then the company is liable to pay for the damages suffered by the person. The fault of workers working in the site – In many instances, it has been observed that a person gets injured in a construction site due to a projectile or falling object. However, when such objects fall due to the fault of other workers working in that site then the worker whose wrong deed has caused the accident is held culpable for the injury. The claim can be filed against the worker who has caused the accident. The injury resulting from faulty machinery – In a construction site, there are many machines which are being used for doing the work. However, if a particular machine malfunction as well as causes the accident then also a personal injury claim can be made. Accidents that involve the breakdown of machinery will take into account the condition of the machine which is being used. If it is found that by the construction company is using low-grade machines, then the company owner will be sent the legal notice for compensation. However, if it is found that the machine is purchased from a different company which has sold an unreliable machine, then that company will be charged with a personal injury lawsuit. However, the way in which the worker was working on or with the machine will also be evaluated to review if the worker was at fault while using the machine. In case the worker is at fault of incorrectly using the machine or not wearing the given protective gear while operating the machine then no personal injury claim can be made. For more information regarding the situations where personal injury claims can be made taking advice from Ask 4 Sam Attorney NYC is a suitable decision. Advice from legal websites – Many websites provide free consultation on legal matters to individuals. The free consultation is not accessible for a number of times, and each person can get one session of free consultation. If an individual is unsure about the validity of the personal injury claim or does not know how to go about the legal procedure then getting a free consultation is the best way to go about it. The consultation will give the person an idea about the claim that can be made by him/her and will also enable the person to move forward with a legal proceeding. Taking references of lawyers from known individuals – There are online resources where one can find many lawyers that specifically deal with personal injury cases. However, looking for references from known people is also a good idea. Taking references from known lawyers is also a good idea. It is true that all lawyers do not work in the same field of law, but they are bound to know the eminent lawyers in the field. Therefore, it is sensible to take references from known individuals. The appointment of a qualified lawyer – After taking in notes from online and offline sources a person should ask some vital questions to the lawyer before appointing him/her. The qualification of the lawyer is probably the most important aspect. All certified lawyers will be attached to the legal institute of the State. However additional certification that reveals greater qualification is always a plus point. It is also important to know if the lawyer has dealt with personal injury cases before to ascertain his/her ability to handle such cases. 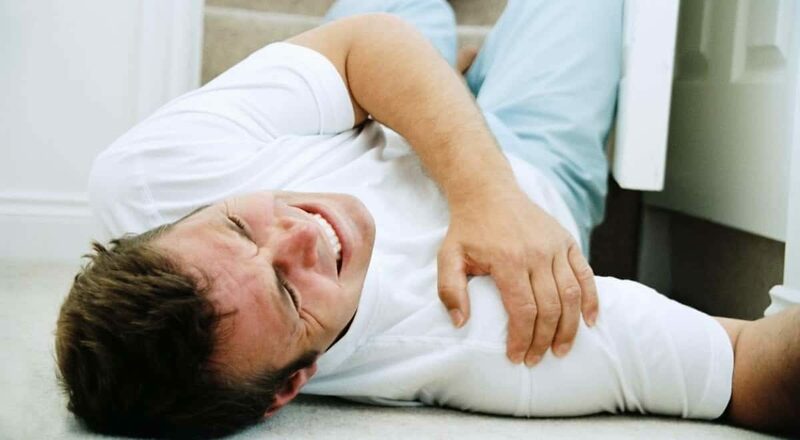 Therefore, taking aid from an appropriate lawyer is the best way to handle personal injury cases. If you have never hired a Miami injury lawyer, you may not know what to expect from the experience and that can be a little intimidating. Since this isn’t something you can avoid doing if you’re facing a legal issue, it’s best to find a way to overcome that apprehension and you can do that by learning more about what’s involved in your first meeting. Called the initial consultation, this meeting is an opportunity for you and the attorney to evaluate one another. Possibly the most important aspect of your first consultation meeting is providing the attorney with the opportunity to learn about your case. Depending on the type of situation, the lawyer will attempt to determine if he can help you. He may ask you questions about the situation and request to see documents and photos that support your position. This is also the time to share information about witnesses to the incident. The attorney will need a comprehensive understanding of the situation to evaluate the merits of your case. Where civil lawsuits are concerned, the initial consultation is an opportunity for the attorney to determine if your situation merits a lawsuit. There are certain criteria you must be able to meet in order to pursue a civil case and the lawyer will use the information you provide to determine if your case qualifies under those conditions. If not, he will let you know that and the meeting will likely conclude at that point. However, if the attorney does see merit in your case, you will discuss the situation further. While an attorney can’t guarantee you a specific monetary award, he can use his expertise and past experiences to give you an idea of what to expect in your case. This is also an opportunity to learn more about the options open to you in pursuing your case, such as mediation, out of court settlements, or other options. It will be up to you to decide how to move forward, once the attorney has expressed an interest in handling your case. In other types of cases, such as criminal cases, estate planning, and family law, the initial consultation will go a little differently. You will still have to give the attorney a comprehensive understanding of your situation. Rather than determine if you have grounds for a case, the attorney will use this time to explain what he can do for you. Sometimes, hiring an attorney will have little effect on the outcome of your case and, if this is so, the lawyer will let you know at this time. Otherwise, the lawyer will explain how he would like to move forward in handling the case. This first consultation meeting is also an opportunity for you to evaluate the attorney. This is important, because you will be sharing thoughts and feelings that you may not share with anyone else. For that reason, you should feel comfortable speaking with the attorney and you should feel that you can trust the attorney to act in your best interests. While it’s difficult to thoroughly assess someone after just one meeting, you should pay attention to any misgivings you have. There are plenty of lawyers to choose from, so don’t feel that you have to work with this one lawyer. Finally, your initial consultation is an opportunity to find out what you’ll be expected to pay. Depending on the services they offer, attorneys charge their fees in a variety of ways. In civil suits, lawyers charge a contingency fee, which means the attorney takes a percentage of the amount awarded at the end of the trial. Conversely, their contingency will be subtracted from a settlement in an out-of-court agreement. Where criminal cases, family law, and estate planning services are concerned, a Miami injury attorney and attorneys may work for an hourly rate or for a flat fee. At the time of your initial consultation, it’s important to make sure you understand how you will be charged, so you can avoid future misunderstandings. By the time you leave this consultation meeting, you should fully understand what the attorney will do for you and what you’ll be expected to pay in return. This will help you make an informed decision and help you and your attorney develop a good working relationship. How Do Criminal Law Fees Work? If you are in the market for a lawyer, you have probably already noticed one thing that tends to vary between each: their fees. Not only do lawyers’ fees vary in range, but they can also vary in how the clients are actually billed. Different lawyers’ even tend to bill their clients different, because how clients’ are billed is usually dependent on the type of job being performed. Below, we are going to go over how criminal law fees work, for any of you who have run into trouble with the law and are currently looking to hire a criminal lawyer. There are three main ways in which lawyers will calculate and bill out their fees: hourly rates, flat rates, and contingency fees. Some lawyers’ work with an hourly rate – these hourly rates are typically set by the lawyers, as there is no “official” hourly rate that has been dictated by any associations or societies. Usually these rates are decided based on the lawyer’s years of experience, reputation, the common rate in the marketplace, the complexity of the legal matter being worked on, and business expenses. This type of billing is most common in instances when the lawyer cannot predetermine exactly how much time the case will take. The lawyer will keep track of the time they have spent on and bill each client accordingly. Flat rates are most common for specific tasks. Tasks where the lawyer knows how much time and effort will be involved in completing said task, rather than for case lawsuits, for example, where it is impossible to predetermine how long the job will take. Examples of tasks that are charged flat rates can include: business incorporations, preparation of a Will, or completing a real estate transaction. Additionally, certain flat rate fees may be calculated according to the overall value of the job done, Ie: a percentage of the value of the house you’ve bought or sold. The third and final style of fees that lawyers use is contingency fees. Contingency fees are a type of fee that is directly correlated to either the success or failure of the lawsuit or other transaction being carried out. Most commonly, if you and your lawyer are successful in your court case, your lawyer will receive a payment calculated as a percentage of the monetary reparations you are rewarded in court. Oppositely, if your case fails, your lawyer will receive a pre-agreed upon flat rate, or, in some cases, nothing at all. Of course, there are certain circumstances where lawyers’ will use a combination of these three types of fees to bill their clients. These are usually called “blended” fees. Most commonly these blended fees will consist of a flat rate for a specific portion of a job and an hourly rate for the rest, or an hourly or fixed rate for one portion and a subsequent contingency fee depending on the results of the case. It’s quite common knowledge that legal fees are not exactly cheap – before hiring any lawyer, ensure that you have thoroughly discussed the fees the lawyer charges, the style of billing technique the lawyer uses, and be sure to ask of any additional fees that may pop up throughout the process.